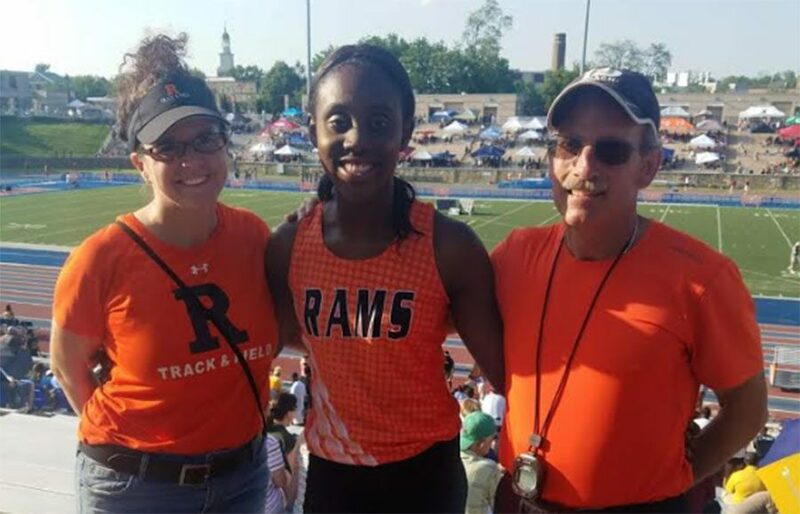 Wong (center) ran May 25 at the States Track Meet accompanied by both coaches and was the only RHS track athlete to compete. 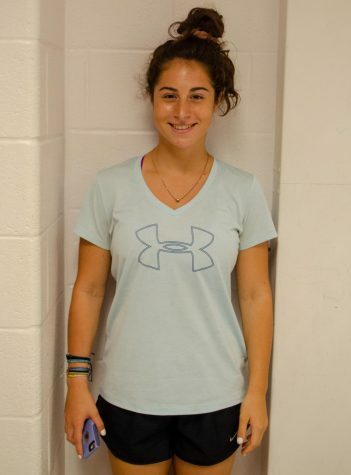 Senior Angelique Wong was the only RHS student to close her track and field season May 25 at the State Track Meet, although she did not place in her events. Wong previously qualified for states during regionals May 16-17, by placing fourth in both the 100m and 200m, achieving a personal best of 12.42 seconds in the 100m. Furthermore, Wong was sick with a cold at the time of both regionals and states but still managed to compete at a high level. Track and Field coaches Amy Brewer and Peter Kirk were in attendance, as well as Wong’s family who were present at the state meet, waving posters to cheer Wong on.